The FAA is constantly thwarting aviation innovation. The agency is keeping aviation stuck in the past. 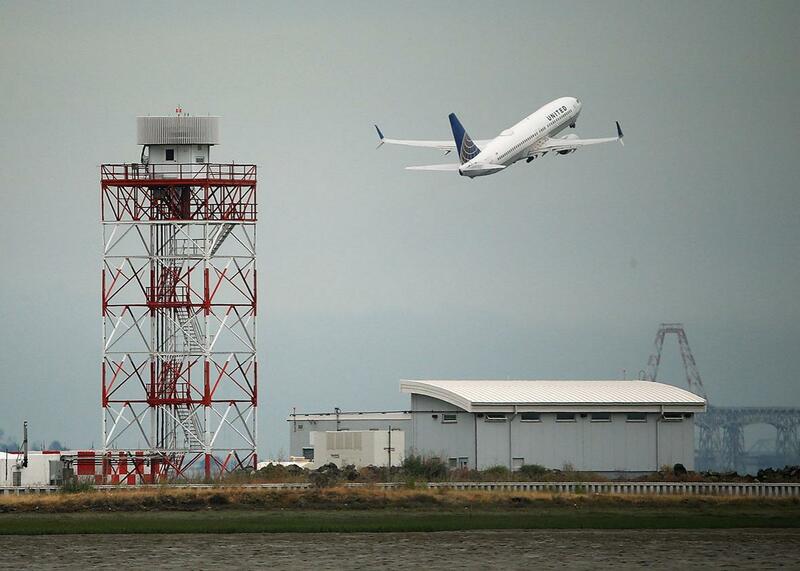 A United Airlines plane takes off from San Francisco International Airport on June 10, 2015. Little has changed in aviation technology in 50 years. After years of dragging its feet, the Federal Aviation Administration will finally implement rules that will generally allow unmanned aerial vehicles to be used for commercial purposes by this summer. It’s an exciting time, but we should not lose sight of all the unnecessary obstacles the agency has raised for drone innovation. For decades, private pilots based out of small airports have posted upcoming itineraries on bulletin boards, hoping to find someone with whom to split fuel costs. In 2013, an innovative company called Flytenow took this time-honored practice and moved it into the digital age. Instead of a literal bulletin board, passengers could browse the Flytenow website to find a pilot already heading to where they wanted to go. No compensation besides prorated fuel costs would be offered. In 2014, the FAA effectively shut Flytenow and a competitor, AirPooler, down. The agency argued that by posting flights on the Flytenow website instead of a bulletin board, the private pilots were holding themselves out as common carriers. Only commercial pilots, not private pilots, can operate as common carriers, and therefore the operation was illegal. In December, a federal appeals court ruled in favor of the FAA, determining it was allowed to shut down Flytenow on the basis of the agency’s definition of common carriage. That definition has little resemblance to the traditional common law definitions of common carriage, which typically apply to companies that publish regular routes, schedules, and rates. If the FAA adopted a less expansive, common-sense definition of common carriage, then a service such as Flytenow would clearly be legal. And if it allowed private pilots to receive compensation other than prorated fuel costs, a true Uber-for-small-planes service could develop. Alas, the FAA has no interest in this kind of innovation. Sonic booms are annoying. They can shake buildings and rattle windows. To solve the problem, the FAA has simply banned civil aircraft from traveling faster than the speed of sound over land. This solution works, but it’s needlessly overprotective. Instead of banning supersonic flight, the agency could establish acceptable ground-level noise standards for supersonic planes to meet. All of the major players in aviation have programs to explore sonic boom mitigation, using novel aircraft designs to reduce the noise on the ground. While they will never eliminate sonic booms, known designs can reduce the boom by at least a third, which approaches values that could make overland supersonic travel acceptable. The FAA insists that it will eventually lift the blanket prohibition on supersonic flight and replace it with a noise standard. Good! But what’s taking so long? The agency has acknowledged manufacturer interest in quieter supersonic flight since 2003. A pro-innovation FAA would immediately change the legal standard to provide certainty for companies investing in the new technology. But our actual, indifferent-to-innovation FAA hasn’t taken any discernible steps in this area in years. Does anybody deny that Tesla is the most exciting car company to watch? We used to think of electric vehicles as wimpy and unreliable. Tesla’s cars are muscular and highly rated. Who will be Tesla for airplanes? The potential market for electric airplanes is significant. Although they don’t yet have great range, electric aircraft have low operating costs, are quiet, and have some nice performance characteristics. That makes them perfect for training—a long range is not needed to train pilots. At the rate that the FAA is accustomed to moving, it may be years before the FAA corrects its mistake and allows electric LSAs. Meanwhile, Airbus expects to have a fully electric two-seater, called the E-Fan 2.0, in production in 2017, and in service in 2018. It’s telling that the Tesla of aviation might be a European company. One of the darlings of the Consumer Electronics Show this year was the Ehang 184, an autonomous quadrocopter that happens to be able to carry a passenger. Adorably, the Chinese company plans to commercialize the product within three to four months in a number of countries, including the United States. It’s possible that some other countries—Ehang explicitly mentions New Zealand—may move relatively quickly to allow this mode of transport, but given the FAA’s slow rate of accommodating new technologies, it will likely be years before autonomous passenger drones are allowed in America. The United States has a safe but antiquated air traffic control system. Over the past several decades, the FAA has repeatedly promised and failed to modernize the airspace system, costing billions of dollars in program expenses and untold hours of passenger delays. One small step in modernization might be privatization. Canada and the United Kingdom have both privatized their air traffic control systems, with no ill consequences. It’s possible that private firms would have a stronger incentive to modernize equipment, procedures, and rules. But an even better approach would be to gradually eliminate centralized air traffic control in favor of decentralized and even automated coordination between aircraft. Thanks to GPS, rapidly improving onboard sensors and communication equipment, and computer-aided decision-making, we could make much better use of airspace. This concept, known as free flight, has been solidifying since the 1970s as an alternative to the existing centralized air traffic control system. Of course, back then the technology to implement it didn’t exist. Now it does. If we want not only for passenger planes to arrive on time, but also for airspace management to scale to accommodate millions of drones, something like free flight seems like it will be necessary. Despite some interest in free flight at the FAA in the 1990s, the agency has done nothing to continue investigating the concept since 2002. Bottom line: Flying is very safe, and the FAA deserves credit for that. But innovation matters too. In recent years, Congress has used FAA reauthorization to force the agency to move forward on drones. That hasn’t stopped all of the agency’s anti-drone shenanigans, but it has helped. This year, as Congress once again works to pass FAA reauthorization by a March 31 deadline, it may want to take a good hard look at all the ways the agency has slowed the march of progress.